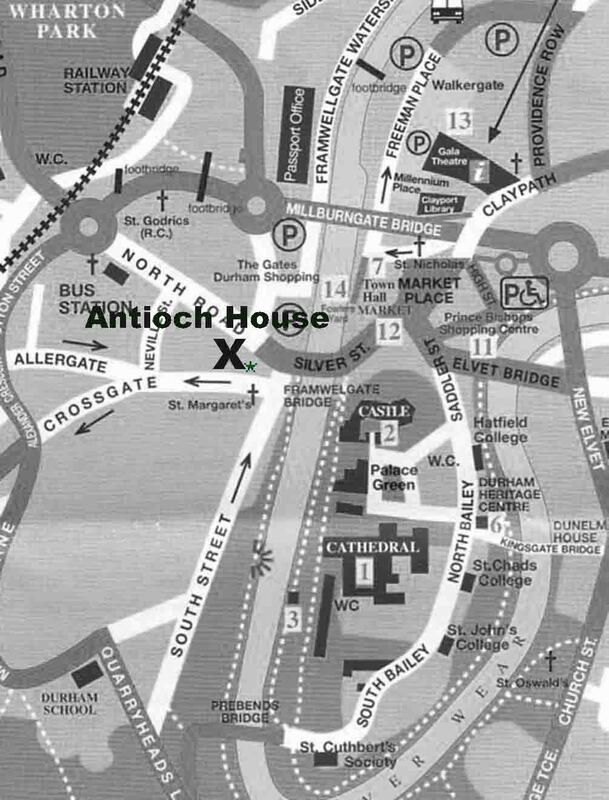 We meet in the upstairs room of Antioch House, which is in the centre of the city opposite St. Margarets Church (click for google map). Antioch House is easy to reach from the Railway Station or the Bus Station (both marked on the map). By road, it is most convenient to use the Park and Ride car-parks signposted from the A.690 from the direction of Sunderland and the A1(M) and from the A.167 from both north and south approaches to the city. The playing-day will take place on the ground floor so there are no stairs to climb. There is, however, no special disabled access available, and there is quite a steep slope from the town to the front door of Antioch House. On the A690 from Lanchester to the West.